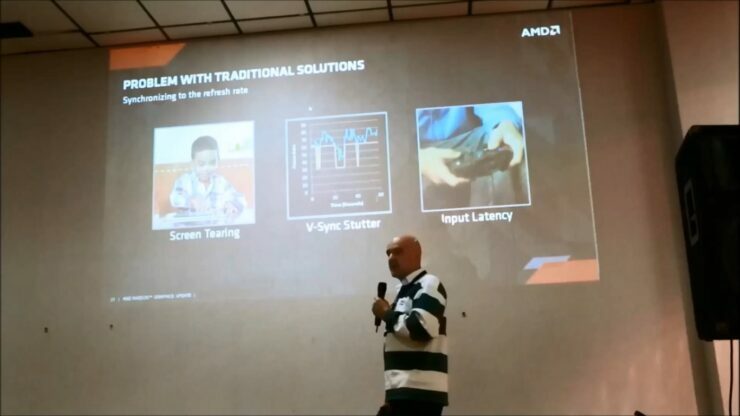 We’ve covered what AMD’s Richard Huddy talked about with regards to Mantle during his presentation at PDXLAN. Do check out the article if you haven’t, as AMD has revealed a lot of exciting news about the scope of Mantle adoption, the public SDK for Mantle and how both Nvidia and Intel can leverage it. 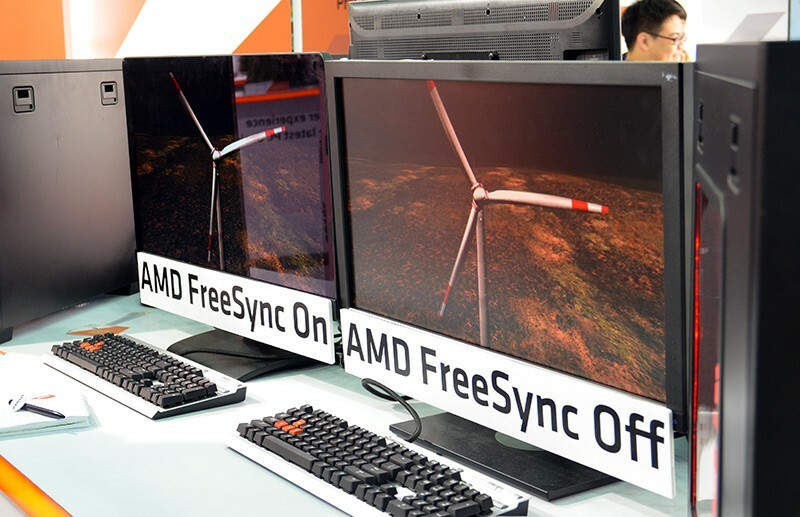 Now we bring you even more exciting news with regards to FreeSync. The resident Gaming Scientist at AMD, Richard Huddy revealed that FreeSync monitors should actually start shipping in December. With market availability between December and January. 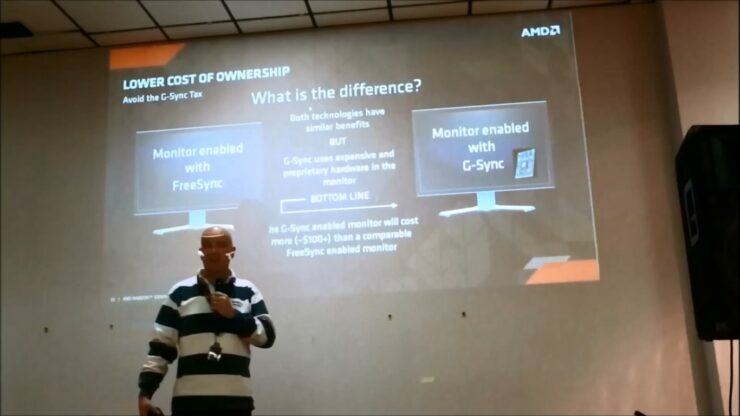 Not only that but according to Huddy, AMD expects that FreeSync monitors will be approximately $100 less expensive than their Nvidia counterparts. So just a quick reminder of what FreeSync is. 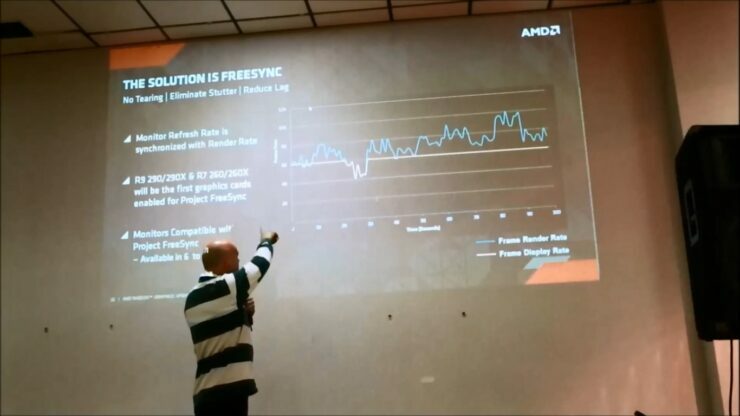 Project FreeSync is AMD’s effort to bring variable refresh rate monitors to market through industry standards and by working with established ASIC and monitor manufacturers. AMD proposed the Adaptive-Sync standard earlier in the year to the VESA body. Which has since been adopted and incorporated it into DisplayPort1.2a. Adaptive-Sync capable monitors solve three distinct issues in games. The first issue is tearing, tearing occurs mainly whenever the frame rate exceeds the refresh rate of the monitor. The second issue is somewhat related to the first, as stuttering can occur if the frame rate exceeds or falls behind the refresh rate. The third issue is input-lag, which occurs when you enable V-Sync to get rid of tearing and stuttering. Perhaps what’s quite fascinating is that according to Richard Huddy a number of monitors currently in the market only need a simple firmware update to support FreeSync/Adaptive-Sync. In fact monitor which was used in the FreeSync demonstration earlier this year wasn’t a prototype. It was an existing monitor which you could buy, only it had a firmware update to enable FreeSync. He used this as an example of how FreeSync does not require any additional and perhaps expensive hardware, such as the G-Sync module deployed by Nvidia, to achieve this functionality. Which is why according to Huddy AMD anticipates that any FreeSync monitor will be $100 less expensive than an identical G-Sync enabled monitor.